Author: Bradsher, Keith Set In . . .
North America, USA, Michigan, Detroit, Washington D.C. 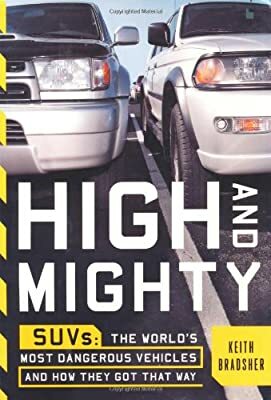 Description: The Detroit bureau chief of "The New York Times" exposes the dangers posed to the people who drive SUVs and the drivers who must share the road with them, tracing the vehicle's history, environmental impact, and crashworthiness.